On the 29th of October 2018, Lion Air flight 610, a Boeing 737-8 (MAX) crashed at Tanjung Karawang, West Java after departing from Jakarta. 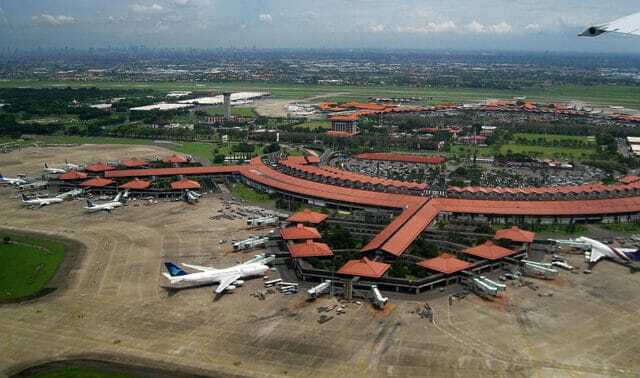 On Wednesday, the KNKT (the Indonesian transport authority) released a preliminary report, based on their findings so far. In order to understand this accident, we need to start with the flight to Jakarta the night before. 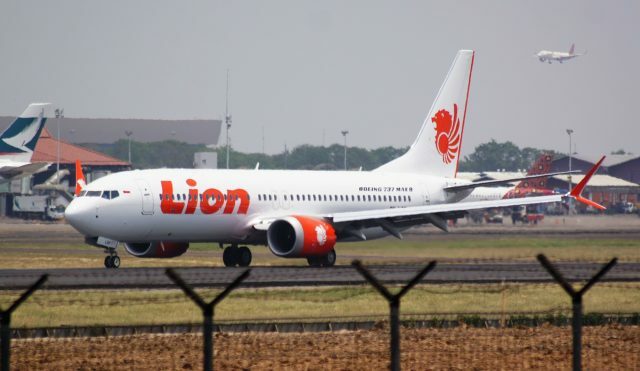 On the 28th of October 2018, a Lion Air passenger flight departed I Gusti Ngurah Rai International Airport for a scheduled flight to Jakarta. The aircraft, a 737-MAX 8 registration PK-LQP, had recently undergone maintenance, including the replacement of the Angle of Attack sensor. The captain discussed this maintenance with the maintenance engineer as a part of his pre-flight checks and confirmed that the maintenance had been performed and tested. At 22:20 local time, the aircraft departed. As the Boeing rotated, the stick shaker activated and continued to shake for the remainder of the flight. The stick shaker indicates that the airspeed is at a minimum operating speed (a low angle of attack), which means that there is the risk of a wing stall. On the Boeing 737 MAX it is triggered by the Angle of Attack (AoA) sensors on the wings on the nose*. At about 400 feet above the ground, the captain noticed a warning on the primary flight display: IAS (Indicated Air Speed) DISAGREE. He passed control to the first officer and cross-checked the primary flight displays against the standby instrument and quickly determined that it was the left pilot flight display (captain’s side) which had the problem. At the same time, he noticed that the aircraft was automatically trimming the nose down, that is, pitching the aircraft to level flight or a descent when they needed to be climbing away. The captain moved the STAB TRIM switches to CUT OUT to disable the automatic trimming. The first officer continued the flight using manual trim and no auto-pilot. The captain declared PAN-PAN to the approach controller, which means an urgent situation, and told the controller that they had suffered an instrument failure and wished to maintain runway heading. This is to keep them from having to worry about navigation while they trouble-shoot the problem, which they clearly did not see as immediately dangerous to the continuation of the flight. He worked through three Non-Normal Checklists which did not resolve the problem. None of these checklists contained the instruction to land at the nearest suitable airport. Airspeed unreliable and ALT disagree shown after takeoff, STS* also running to the wrong direction, suspected because of speed difference, identified that CAPT instrument was unreliable and handover control to FO. Continue NNC of Airspeed Unreliable and ALT disagree. Decide to continue flying to CGK at FL280, landed safely runway 25L. The Aircraft Flight Maintenance Log already had multiple entries regarding airspeed and altitude problems on the two days previous, including three references to the Speed and Altitude Flag showing on the Captain’s Primary Flight Display and two references to illuminated warnings for SPEED TRIM FAIL and MACH TRIM FAIL. This was the first reference to the IAS and ALT disagree. Each log entry had a resolution description by the maintenance team. That night, the maintenance engineer flushed the left Pitot Air Data Module (ADM) and the static ADM to rectify the disagrees of the Indicated Air Speed and Altitude. He then conducted a ground-based operation test which concluded to his satisfaction. The issue with the Feel Differential Pressure warning was resolved by cleaning the electrical connector plug of the elevator feel computer. His ground tests showed that the problem had been resolved. The next flight, which was the accident flight, took place the following morning, on the 29th of October. The cockpit voice recorder has not been recovered, so we are reliant on the Flight Data Recorder and the ATC calls for information as to what happened. The weight and balance sheet listed two pilots, five cabin crew and 181 passengers, although the voyage report (which names the crew onboard) showed that there were six cabin crew on board. One of the passengers was an engineer with the airline, which seems to be why early reports stated that the flight crew included an engineer. Again, as the Boeing rotated, the left-side stick shaker activated and continued to shake, just as it had on the day previous. We do not know what the initial response by the flight crew was without the Cockpit Voice Recorder but about a minute after departure, the flight crew changed to the Terminal East controller who confirmed radar contact. The controller instructed the flight to climb to 27,000 feet. 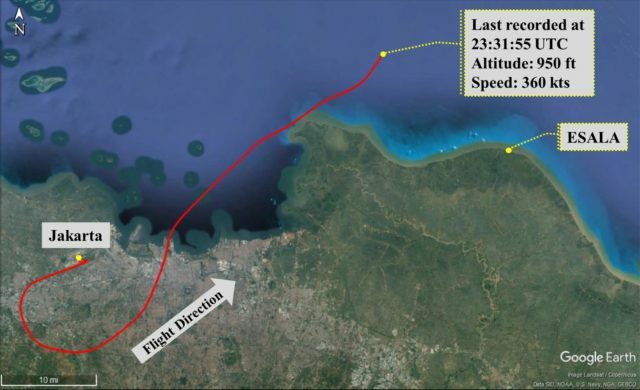 The first officer responded by asking the controller to confirm the altitude of the aircraft. The radar display showed them as at at 900 feet, which the first officer acknowledged. Then he asked for approval “to some holding point”. Similar to the previous flight crew’s request to maintain runway heading, this would be to allow the flight crew to safely trouble-shoot a problem without having to worry about navigation or terrain. The timing is a bit unclear to me but when the aircraft was climbing through 1,700 feet, according to the radar display, it suddenly lost 100 feet, descending unexpectedly to 1,600 feet. The controller asked the flight crew their intended altitude. The response: 5,000 feet. At 2,150 feet according to the Flight Data Recorder, the flaps were retracted. As they reached zero, the the flight data recorder recorded ten seconds of automatic trim AND (Aircraft Nose Down), that is the system was automatically trimming the aircraft to pitch downwards. The flight crew manually commanded ANU (Aircraft Nose Up) trim. The controller instructed the aircraft to climb and maintain 5,000 feet and to turn left for a heading of 050°. The first officer confirmed. The flaps were extended to 5° and the automatic nose down trim stopped. The first officer asked the controller to confirm their speed as indicated on the radar display. The controller responded that their ground speed was 322 knots. He added a label on the radar display which read FLIGHT CONT TROB. Then he asked the flight to turn left heading 350° maintaining 5,000 feet. The first officer acknowledged the instruction. The aircraft flaps retracted to 0 again and at that point, the automatic AND trim and the flight-crew commanded ANU trim began again. This is the source of the ‘man battling machine’ headlines, where the aircraft systems believed that the aircraft needs to pitch down (almost certainly to decrease the angle of attack and the risk of a wing stall) and the flight crew were countermanding that by trimming for nose up. The FDR recorded both as continuing for the remainder of the flight. The controller asked the flight to turn right heading 050° and maintain 5,000 feet. Effectively, he was using vectors to keep the aircraft in a safe area so that they could concentrate on the problem. The first officer acknowledged the instruction. 30 seconds later, the controller told the aircraft to turn right for a heading of 070° to avoid another aircraft in the area. He did not a receive a response. He called twice more and about a minute after the first call, he received an acknowledgement. It’s clear that by this point, the flight crew were heavily distracted. However, they still had not declared an emergency or even a PAN-PAN. The controller noticed that the aircraft was descending and contacted the flight crew to confirm whether this was correct. The first officer stated again that they had a flight control problem and that they were flying the aircraft manually. The controller responded that they should maintain heading 050° and contact the ARR (Arrival) controller, clearly prioritising getting the aircraft back on the ground. The first officer acknowledged and contacted the ARR controller, advising that they were experiencing a flight control problem. The ARR controller advised them to prepare for landing on runway 25L and fly heading 070°. The flight officer read back the instructions. They next need to turn back towards the runway for landing. The first officer then asked to proceed to ESALA due to weather. The ESALA waypoint is about 40 nautical miles from Jakarta airport on a bearing of 075°, so that would give them a right turn south-east. Of note here is that he identified the flight as LNI650 instead of LNI610, which is a likely sign of overload. The captain then advised the controller that they could not determine the altitude of the aircraft as all aircraft instruments indicated different altitudes. The captain also used the callsign of LNI650. The controller acknowledged the information and then replied with “LNI610 no restriction”, which basically means, don’t worry about any altitude restrictions and get get the aircraft in. By now it was clear to everyone that they were dealing with an emergency. The captain then asked the controller to block traffic 3,000 feet above and below their flight. The ARR controller asked what altitude the captain wanted, and the captain responded with “five thou”. The controller approved the request. 30 seconds later, at 23:31:54 UTC, eleven minutes after departure, the flight data recorder stopped recording. One second later, the aircraft disappeared from the radar display. But the ARR controller and the TE controller attempted to contact the aircraft repeatedly, with no response. The ARR controller passed the last known coordinates of the aircraft to the operations manager and requested several aircraft to hold over that position in order to conduct a visual search of the area. About half an hour later, at 07:05 local time, tug boat personnel discovered floating debris at a location about 33 nautical miles from Jakarta on a bearing of 56°. The wreckage covered an area about 200 by 140 meters (650 to 450 feet). They had found Lion Air flight 610. The aircraft was destroyed in what appeared to be a high energy impact. There was no chance of survivors. The investigation is now in progress, with support from the National Transportation Safety Board of the US, the Transport Safety Investigation Bureau of Singapore and the Australian Transport Safety Bureau. You can read the details of the previous flight and safety actions taken so far in the Preliminary Report. Boeing have issued a separate press release which echoes the findings of the preliminary report but also point out points they feel were missed. The report does not include records as to the installation or calibration of the new sensor, nor does the report indicate whether the sensor was new or refurbished. Although the report states that the pilot was satisfied by the information relayed by the engineer that the AOA sensor had been replaced and tested, on the subsequent flight the pilots again experienced problems with erroneous airspeed data, and also experienced automatic nose down trim. Data from the flight data recorder summarized in the report also makes clear that, as on the previous flight, the airplane experienced automatic nose down trim. In response, the flight crew repeatedly commanded nose up trim. This sequence repeated for the remainder of the flight, during which the flight crew was able to maintain control of the airplane for approximately ten minutes. Unlike as is stated with respect to the prior flight, the report does not state whether the pilots performed the runaway stabilizer procedure or cut out the stabilizer trim switches. These actions, which were performed by the previous flight crew, would allow the pilots to override the MCAS (Maneuvering Characteristics Augmentation System) which was causing the downward trim. If you’d like to understand this better, then I recommend Jon Ostrower’s article in The Air Current: What is the Boeing 737 Max Maneuvering Characteristics Augmentation System. The MCAS is specific to the Max series and it is correct for it to respond to a high angle of attack with the nose down command. However, in this case it was clearly triggered by a fault, and as Boeing point out, the same fault had occurred on the previous flight and was supposedly repaired. At the core of Boeing’s argument is that the fault was not dealt with through maintenance (clearly, as related faults kept occurring) and that the previous crew were very aware of how to deal with the problem and although they declared an urgent situation, it never devolved into a dangerous situation. The accident crew, on the other hand, never declared an emergency and never performed the runaway stabilizer procedure. 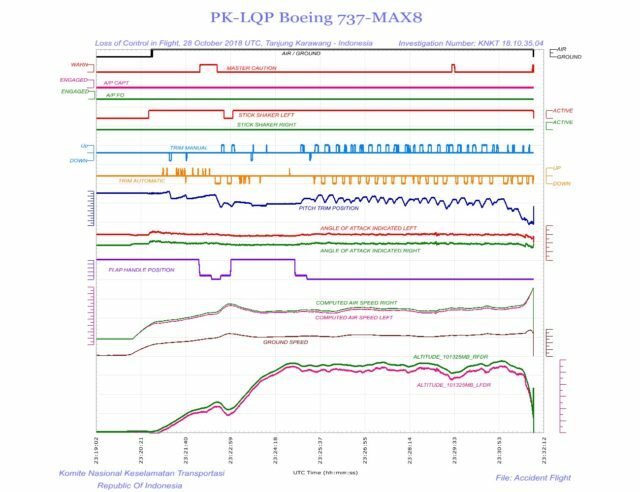 At the heart of this will be the question of whether the flight crew training on the 737 MAX should have known how to override the MCAS in the case of an incorrect Angle of Attack reading or whether this information was not sufficiently clarified. I’m sure this will be in the news for some time to come but I’ll likely not revisit it here until the final report comes out. In the meantime, feel free to discuss in the comments! Would simply using the flaps at the lowest setting have solved the nose down problem? It seems not although there’s clearly a connection there. I hope that is explored in the final report. Although the AOA indicator should reflect the AOA of the wing, I believe that the sensor is not mounted on the wing or even close to it. On many aircrafts you could find it on the side of the fuselage. Well, hell, I just couldn’t imagine it being anywhere else. I will read up on this, thank you! The problem in that scenario is that 2 bad AoA sensors could over rule 1 good AoA sensor, that is exactly what happened on the Xl Airways A320 flight 888T, on a test flight over the mediterranean off the coast of Canet en Roussillion, near Perpignan. Two AoA sensors failed because water got stuck in them when the plane was cleaned before the flight, this water then froze during the flight thus rendering the sensors inoperative. In some respects the Lion Air accident was the flight 888T scenario in reverse – the A320 auto pilot did not recognise that the plane was stalling, and kept the nose up as the pilots commanded nose down , while in this accident the auto pilot pushed the nose down, thinking the plane was stalling, ignoring the pilots nose up commands. Sorry to say, but the crew failed to perform a basic emergency procedure called “runaway stabilizer” which is well known from the 50’s back with the 707 dinosaur and all latest Boeing models. I’m a retired 707 pilot, and we were fully trained to deal with any unwanted stabilizer pitch correction as a “runaway stabilizer”, which was, evidently, a recall item, meaning that must be performed “by memory”. On the other hand, the former flight crew was able to perfectly fly manually (A/P OFF, MCAS OFF) and land the aircraft, even without diverting the destination. This will demonstrate that the MAX is able to fly flawlessly without the MCAS considering that many “instant aviation experts” are saying that the MAX was uncontrollable without the MCAS. I feel like you haven’t been reading the posts or the comments. I know there’s a great desire to come up with simple answers but the reality is more complicated that your explanation. I’m not sure if your ‘instant aviation experts’ is aimed at me and the pilots discussing the issues or just the world in general, but you are welcome to join the discussion on the recent posts. This one is unlikely to get much interaction as it is four months old.